Styles from the Teens Era are considered to be some of the most elegant & beautiful ever created. They are graceful & balanced. The fabrics & details are lovely. They are also very flattering when worn. 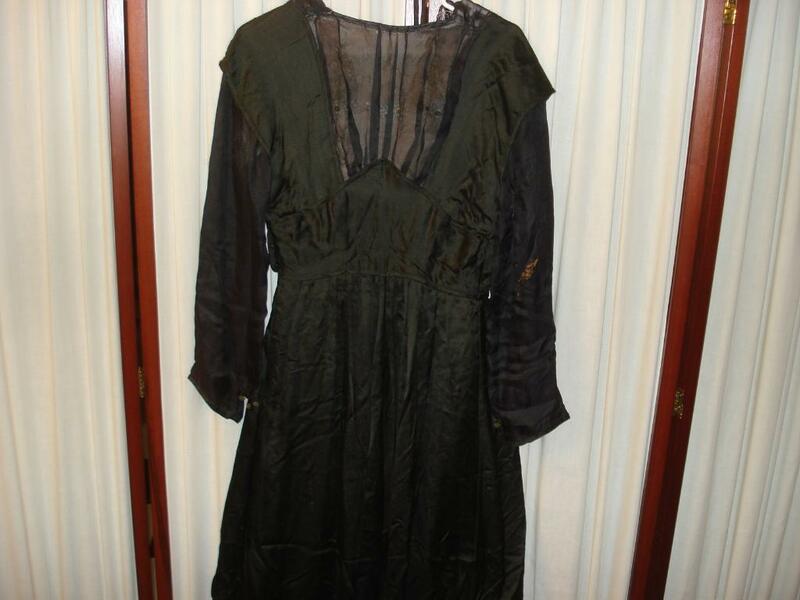 An elegant Teens Era dress. 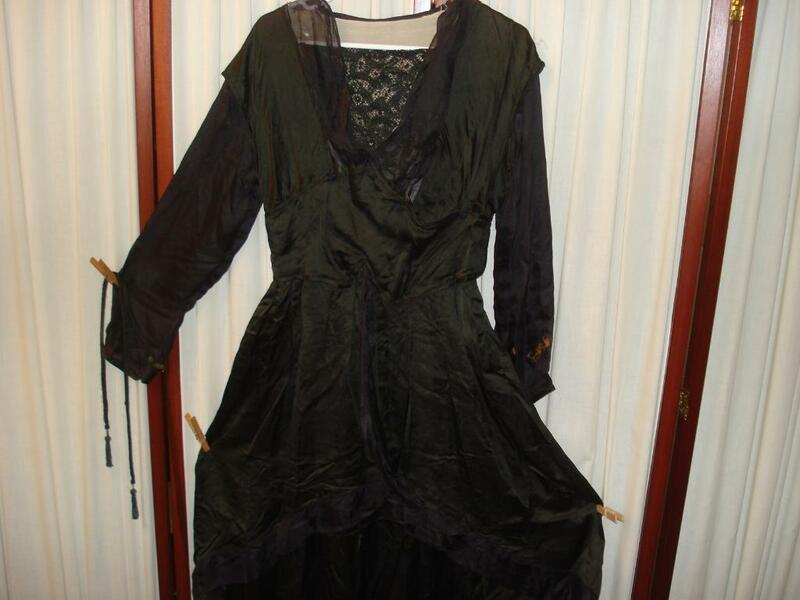 Made of midnight black satin, this was obviously intended as someone's special occasion dress. The dress is made of black satin. 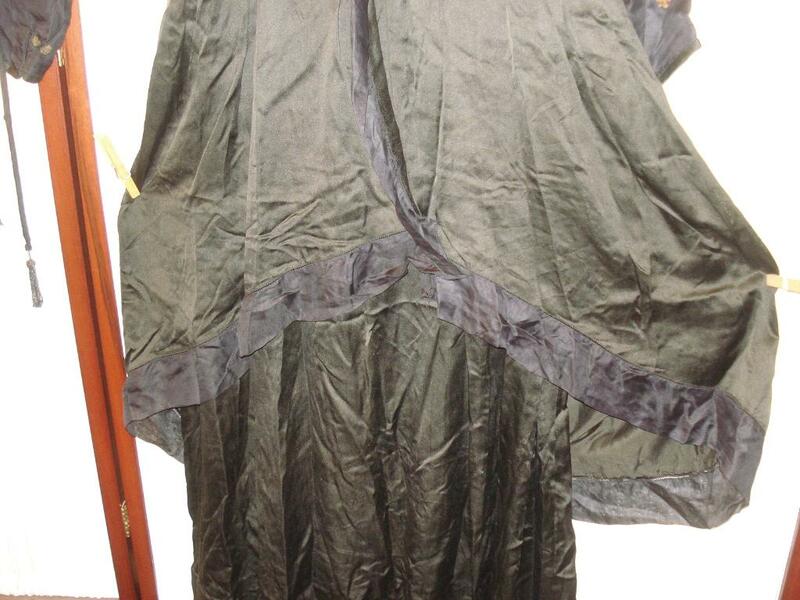 It has a draped overskirt in a classic early Teens style - shorter in front than in back. The bust area, upper back & sleeves are all made of a heavy voile. The hem of the overskirt is trimmed w/a band of heavy voile - nice detail of hemstitching on the voile. 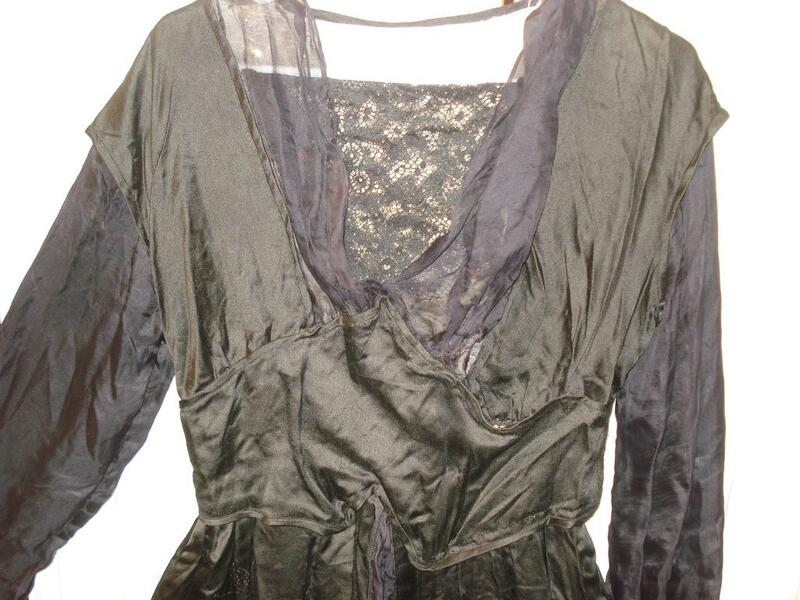 There is a black floral lace inset in front, the upper back is lined w/lace under the voile. The sleeves are unlined. The front of the bodice has a draped effect & even has a small stay sewn into the fabric to keep it draped, not drooping. The sleeves are quite full w/fitted cuffs. Each cuff has 3 small old gold metallic bobbles as trim. 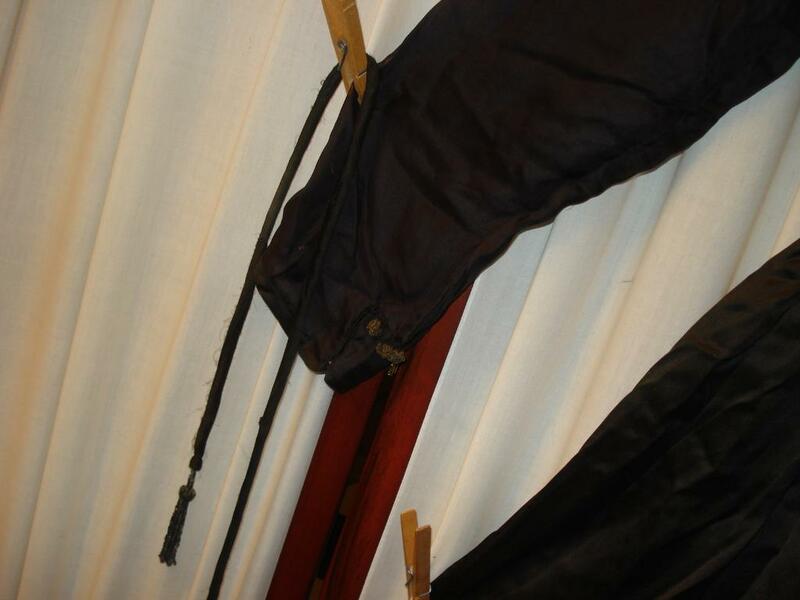 There is also a long black voile strip w/black beaded tassels on either end. This was meant to be worn dangling from the left shoulder & has a small snap to keep it in place. The skirt is unlined. Fastens on the sides w/snaps. Size - medium. Bust 38", waist 28", hips 40", length 55". Condition - overall, very good. The only flaws I saw were a few fade blotches (blotched to a brown color)- 2 tiny ones on the back of the upper left sleeve, 3 larger ones on the back of the right sleeve. Otherwise, NO flaws. AN EXCEPTIONAL, ELEGANT TEENS ERA DRESS. NEW REDUCED PRICE AND BUY IT NOW MAKES THIS A SUPER SALE!!!! I love this so much; I just wish we had more detail shots!